Known as The Sunshine City, St. Petersburg captures the essence of Florida’s West Coast from sunrise to sunset. While staying at the sophisticated and well-designed Hyatt Place St. Petersburg Downtown, which has 175 guestrooms, 6,500 sq. ft. of meeting/conference facilities and pre-function space of 5,500 sq. ft., guests will never run short on things to do. 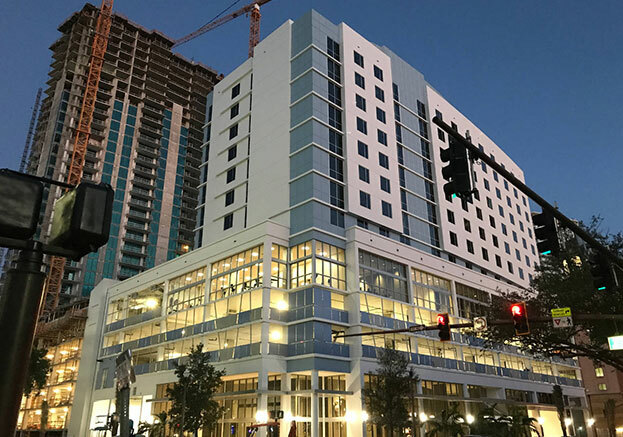 From it expansive pristine, white sandy beaches and coastal waters to the cultural offerings of the Museum of Fine Arts and galleries, downtown landmarks, sporting events and the farm-to-table dining, the best of St. Pete is within arm’s reach when staying Hyatt Place St. Petersburg/Downtown. From its location by the water, the rooftop pool offers panoramic views of sunsets and the city lights of Tampa Bay.